Rosita Net-Shop - Call for Pricing ? 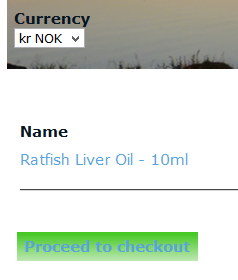 In our NetShop we have made it possible for you to use several currencies both with the products and in the cart. To have this enabled, you will have to select the currency in question using the currency "shifter" in the top left of our Net-Shop. To find the price of the product(s) in question with or without shipping and discount, please add this product(s) to your shopping cart and click "Proceed to check out". While in the "checkout" phase you can cancel or change the quantity of your products (update) in the shopping cart. You will also be able to the see the prices of our products, with and without shipping. For more information about prices, shipping and discounts please click on "Prices & Shipping"on the top left of the home page menu.